Here at Art On Glass, we know that security is your top priority when considering any installation on a new door. That is why we have teamed up with Lock Lock Security in order to make your home improvements even more secure. Lock Lock Security have designed a unique mechanism for your doors that ensures your safety without the need for a key within the home. Each of their handles are installed with a special switch that when pressed on completely locks your door. This is perfect for rear doors, French or patio doors as there is no reason for them to be locked from the outside. Lock Lock Security capitalised on this and has created a door handle that has no cylinder. By doing this, has eliminated the need for an extra set of keys and has increased safety by reducing the ability to pick a lock. Their curved finish with 3mm wall thickness adds a stylish edge but again adds to the strength of the lock as it is incredibly difficult for intruders to break. 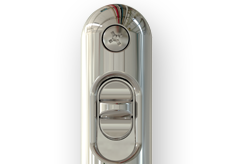 Each Lock Lock Security handle, comes with a patented spindle lock which will protect you even if the cylinder has been compromised. The fully reinforced design works to again heighten your protection. Your safety is our priority. All this protection is activated when you flick the switch. No keys required! This design is perfect if you have to leave your home quickly due to an emergency situation. Better yet, Lock Lock Security fits on to already existing doors, no need for cutting or drilling to install. They are available in 211mm and 122mm options. If you opt for a cylinder option, this will only accommodate shorter and more secure cylinders – again this will not be visible from the exterior of your property. Finally, the finish lasts a lot longer than standard door handles because they are layered with 2 layers of copper and nickel. Lock Lock Security comes in 5 different colour options: White, Gold, Chrome, Stainless Steel and Black. Each colour works well with any colour scheme to make your home more stylish while adding to security. 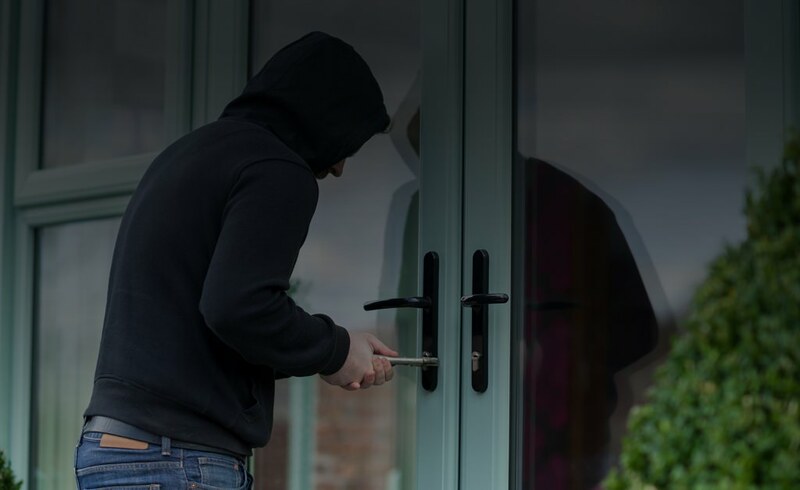 Did you know that for every 100 burglaries, 26 people see the offender in their home? The patented lock-block which stops the spindle from turning. When this doesn’t happen, the door will not open, ensuring no unwanted intruders get into your home. 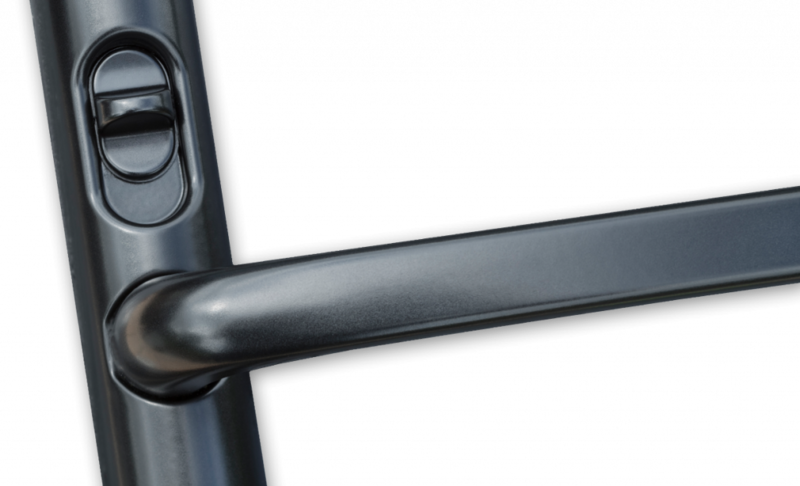 When you opt for a handle by Lock Lock Security, you’re choosing convenience, style and heightened strength. Provide your family the best protection on the market. 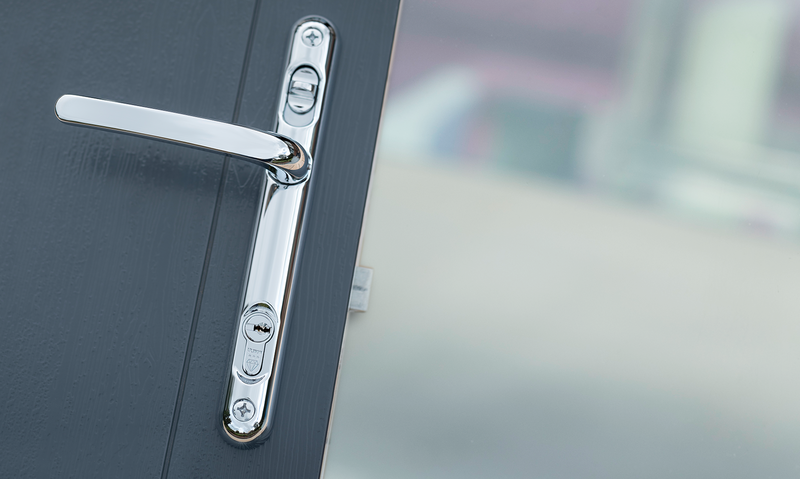 With most other locks, the cylinder protrudes out from the handle, Lock Lock Security want to add style along with our durable design – that’s why our cylinders fit neatly into the handle. The less cylinder that intruders can grip the better! Gone are the days of fumbling around for keys in order to lock your door once you’re finished in your outdoor area. Simply lift the handle and flick the switch on. Home protection has never been easier. When we install Lock Lock Security for your doors, we only ever fix them with 12.9 grade, high strength steel alloy M6 bolts. These bolts are 210% stronger than the standard M5 bolts. 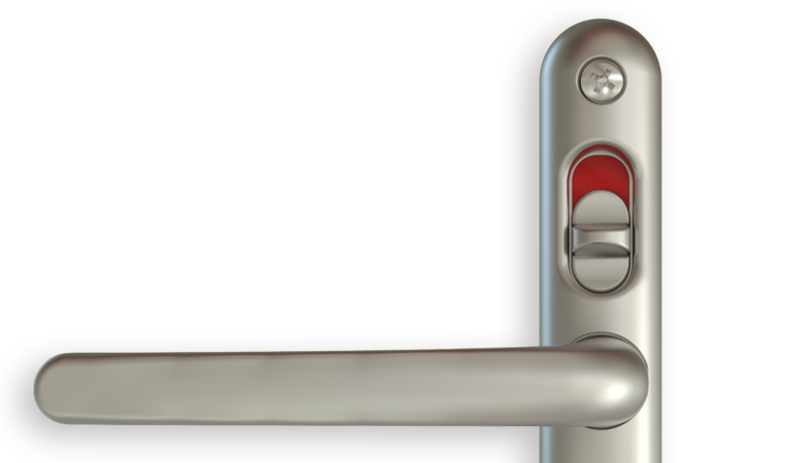 Why Choose Lock Lock Security? Lock Lock Security’s performance and endurance meets the highest standard measured –EN 1906 Grade 7. 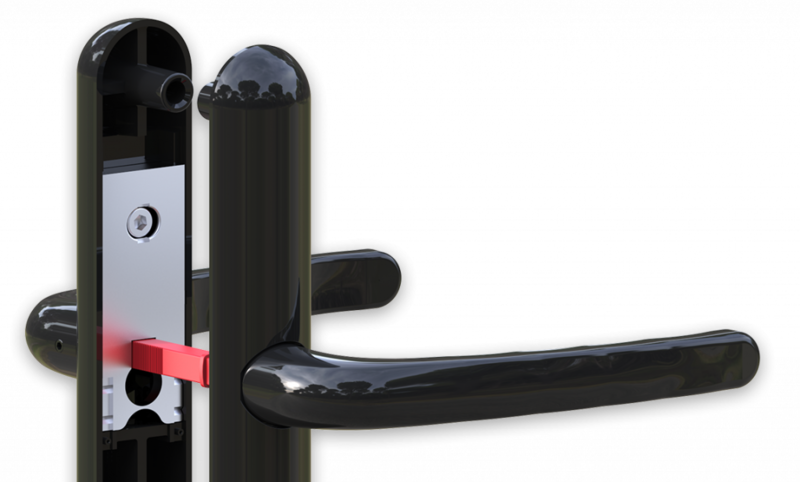 Through vigorous third party and independent testing, Lock Lock Security have concluded that their handle design can be opened and closed 4 times a day for up to 136 years! You know you’re getting quality guaranteed. A cylinder free lock is smarter by design. It is also more aesthetically pleasing and eye catching. Here at Art On Glass we can install Lock Lock Security on your back doors, bi-folding doors and French doors. The curved design is very tough to get a good grip of. Even if a potential burglar used molegrips, the beautiful rounded build stands strong against any attacks. The stunning design and finish has surpassed the highest grade of 480 hours of being constantly sprayed with salt water that is required to achieve the EN 1906:2012 corrosion standard. In fact, it now stands at 8056 hours! If you’re looking to have Lock Lock Security installed for your home, Art On Glass is happy to help. For more information on our services n Cambridgeshire and the surrounding areas give us a call on 01354 655 200, email us at dan@aogwindows.co.uk or drop us a message via our online contact form. Our team of helpful and friendly experts look forward to hearing from you soon!